75124-RB is rated 4.4 out of 5 by 23. Rated 5 out of 5 by Lynne082208 from It worked out perfectly. . Matches all the other bathroom fixtures and accessories I bought earlier from you. 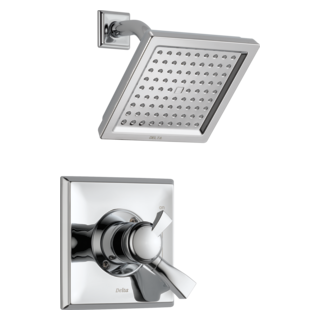 Rated 5 out of 5 by TTNC from solid and looks good I bought several delta dryden accessories to match the faucets and shower items I bought. I love the bronze finish and that everything matches. 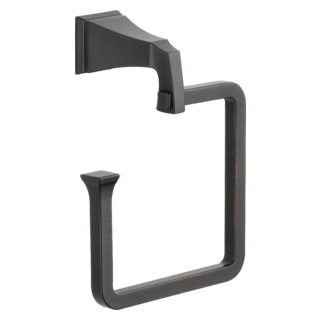 The accessories and towl bar are solid and heavy duty metal. And they also look great. I wish they were not quite so expensive. 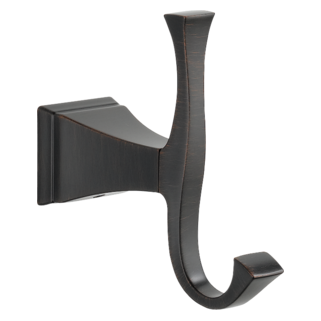 Rated 4 out of 5 by Javo from Matching Towel Bar Purchased the Dryden towel bar to match the existing Dryden toilet paper holder and wide spread faucet we purchased previously. Like the looks of the Dryden design. 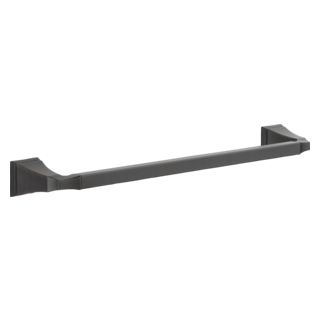 Rated 5 out of 5 by TNSN from Great simple yet attractive addition We purchased this towel bar for a recent bathroom remodel. The ability to purchase multiple items from the same Delta Dryden set has made the bathroom come together nicely. It was easy to install and looks great- simple yet not boring. Rated 5 out of 5 by DDM from Perfect addition to newly remodeled bath. Rated 5 out of 5 by Christine Yerkes from Loved the finish We loved how the finish of the Delta Dryden collection pulled everything together. Not chrome and not gold. The perfect in between color. We used the hooks, roman tub filler, and faucets as well. All are beautiful. Rated 5 out of 5 by DaveK from Fantastic Delivery and Product Ordered online Thursday morning, received the order via UPS on Friday afternoon. Got just what I needed. What is the material that makes up this METAL? towel bar? Can the rod be cut shorter? 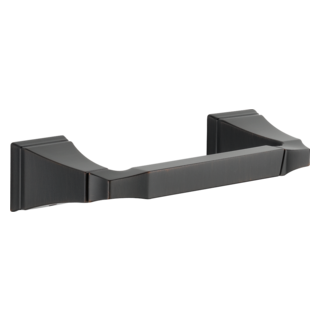 Can the Dryden Towel Bar be cut down in length? Can you mount this on a glass shower wall? 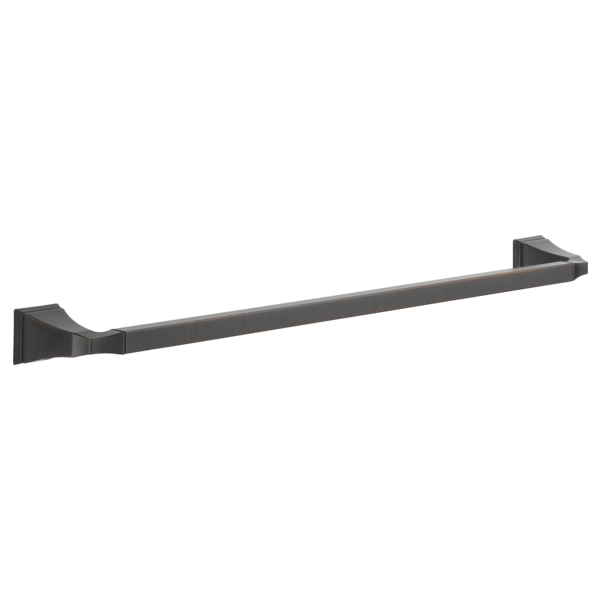 I would like to have our towel bars on our shower door/wall versus on the drywall. Has this been a design update to this towel bar? 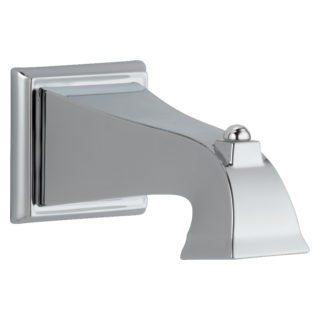 I recently purchased the 24&quot; Dryden chrome towel bar on Amazon; the model # was 128884. Has Delta issued a updated version - under model # 75124? I returned the Amazon purchase as the square bar attached to the end caps via round pegs; this flawed design caused the bar to spin/pivot. 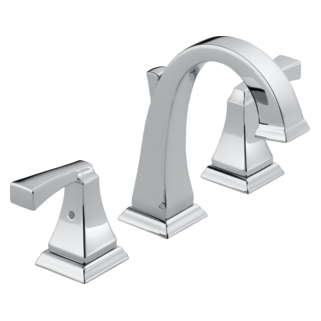 I purchased the entire Dryden suite for my bath remodel, and hope to find a towel bar that mirrors the quality of the other Dryden fixtures. My Dryden double towel bar (model 75125) has square pegs in the end caps and doesn't have the above problem.